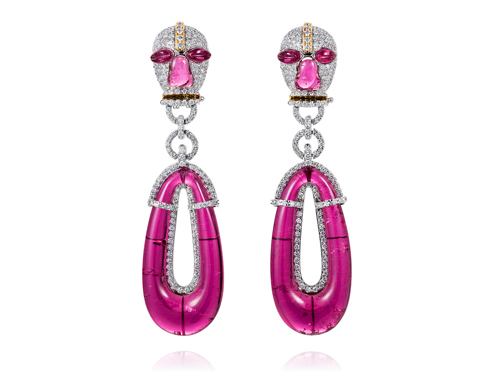 Satta Matturi’s second collection, Artful Indulgence, allows women the opportunity to express themselves in a bold and sophisticated manner with a range of earrings. The exclusive 12-piece collection takes its inspiration from traditional batik fabric and lace to tribal masks and flora and fauna silhouettes to create a bold and striking look. 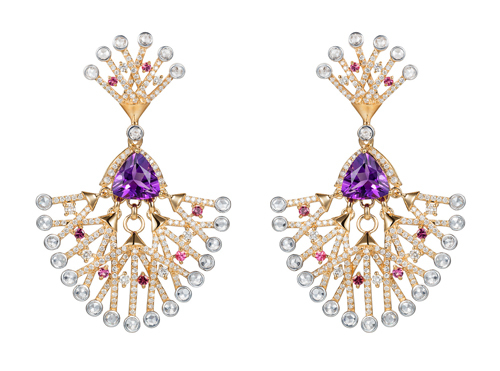 The earrings range from chandeliers indicating movement and flow, to fan-shaped designs and studs that utilize positive and negative space incorporating 18ct gold, VS quality rose cut diamonds, rubellites, amethysts and Akoya/South Sea pearls. 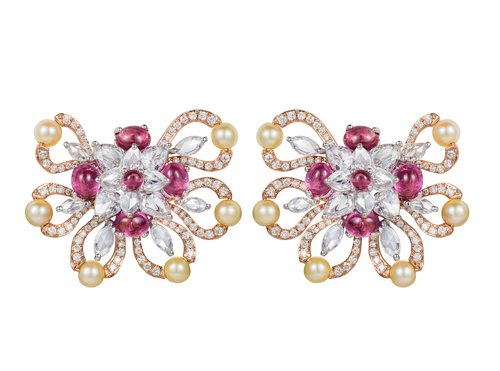 The uniqueness of the pieces, as well as the attention to detail in the finishing, makes this an exciting and intricate collection that will afford the wearer endless opportunities.